Serving the valley weekly - Follow us on social media to see our schedule & weekly route. A husband and wife team, from New York, serving up entrees rich in culture and flavor, this is not your average food truck food. Don't believe us? See what People have to say about our award winning entrees and signature burgers. Follow us on Facebook and Instagram for up to date schedules and register to win weekly food giveaways! Panko breaded chicken breast, lettuce, tomato, red onions, Monterey jack cheese, chipotle mayo sauce on a toasted bun, served with fresh cut fries. Half pound beef, tomato, lettuce, Cheddar cheese, red onions, pickles, Ketchup/Mayo sauce on a toasted brioche bun. Half pound beef, roasted jalapenos, grilled onions, lettuce, tomatoes, Monterey jack cheese, crispy bacon, chipotle mayo sauce on a toasted brioche bun. Grilled beef with pico de gallo, Monterey jack cheese, salsa verde, sour cream over fresh cut fries. Our award winning Cuban sandwich is made with slow roasted pork, ham, pickles, swiss cheese, yellow mustard on a pressed soft baguette. Greek style grilled chicken or lamb, lettuce, tomatoes, red onions, feta cheese with homemade Tzatziki sauce served on a toasted pita. 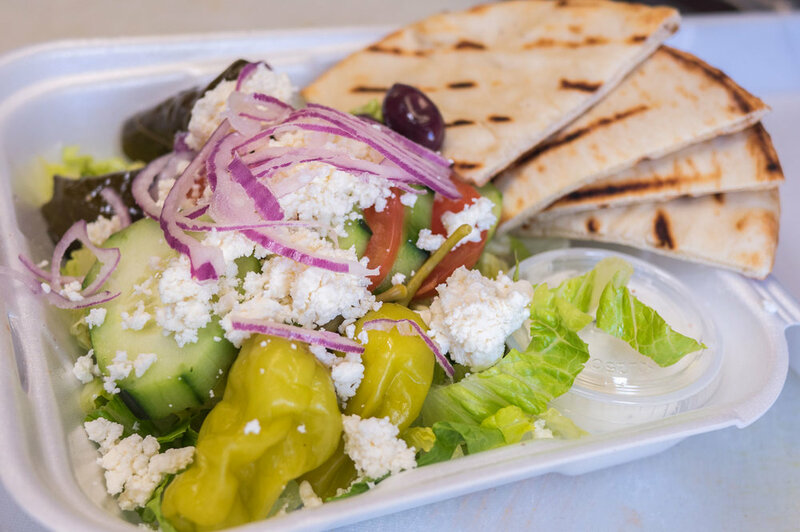 Lettuce, tomatoes, cucumbers, Kalamata olives, dolmades, pepperoncini, red onions, feta cheese, homemade Tzatziki sauce, and a grilled pita. 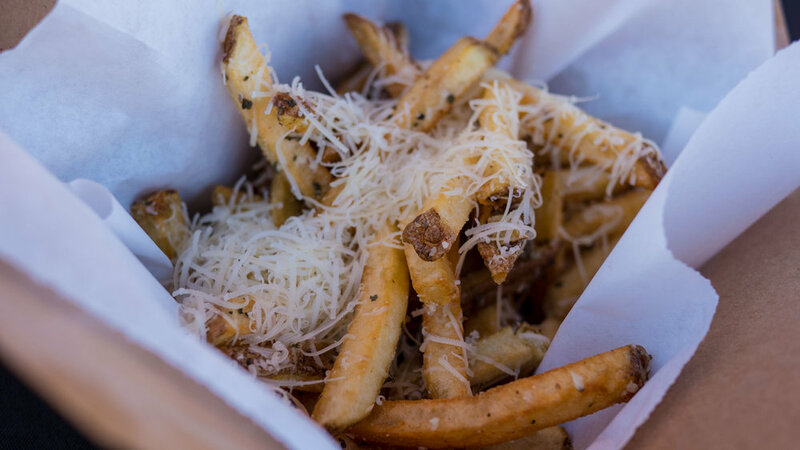 Garlic infused oil, oregano and freshly grated Parmesan cheese over fresh cut fries, comes with your choice of dipping sauce. Call (602) 577–6693 from 8am – 7pm daily, or book online - Questions about booking? just click below!